I want to talk a little about some of the lesser-known ways a Cloud WFM system—like Teleopti’s—saves money. But I thought a quick refresher about how WFM in the Cloud works, would be allowed. Rather than install your WFM system on your own premises, Teleopti (or any Cloud provider for that matter) runs the system on its own servers, in one or more data centers in one or more locations. The functionality, instead of running from local memory, disk or server, is downloaded to you in real time from that remote location. With the Cloud you purchase nothing, install nothing and provide no support or services internally: the Cloud provider does all that in its data centers. Instead, you pay the provider a low monthly fee to run the WFM system. This eliminates capital expense and only mildly increases operational expense. You definitely have to run the numbers to determine whether, over a planned period of time, Cloud or on-premise is the best solution. But when you run those numbers, remember that cost savings come in many other areas. Companies with multiple sites save a lot of money by centralizing WFM in the Cloud. On premise centralization means there must be servers at each call center, and a larger infrastructure in place at the primary, central data center. (That is, unless you’re running your own Cloud.) And of course they all have to run software. It all costs money to purchase, and it costs just as much—over time, even more in many cases—to maintain, update, troubleshoot and support all of these systems. The Cloud eliminates all of the costs involved in keeping every system updated and in sync with all the other systems. Your provider takes on the burden of ensuring systems are up and running at peak performance all the time, and that centralized data management is always in place. Growth in the business is good. Growth in the data center is always risky. As you grow, you add more users to the system—more users mean a larger staff to support them. More users generate more data—so does increased analysis and forecasting. You have to be continually expanding storage to handle that data. When you add storage, you can increase your storage footprint. That can increase the environmental costs to maintain that equipment—up to and including expanding or even relocating the data center. With the Cloud, as your storage requirements increase, your provider simply increases your storage provision. (The best SaaS providers—Teleopti—have already planned and built a data center infrastructure that can handle virtually unlimited growth.) You pay for that, yes, but it’s a small addition to your monthly fee. Backup of critical business data is a complicated task—just ask the IT folks. It involves storage hardware and software. It can also require some significant manual processes to optimize the volume of data you write to it—unless you run expensive data management tools that deduplicate, compress, automatically tier data and more. And finally, keep in mind that backup is just part of larger Disaster Recovery plans and systems. And those DR programs are just part of a larger Business Continuity plan and supporting technologies. All of this can hit deep into the IT or Center Operations budget. 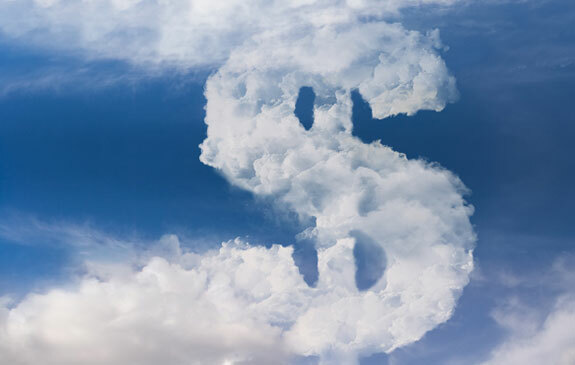 Your Cloud provider will have all that handled, and here it doesn’t cost you an extra cent. But they don’t just do it to protect you. They do it to protect themselves as well: remember, your provider’s feet are held to the fire of what should be a very strict SLA. As I said at the top: you have to run the numbers to determine whether on-premise or Cloud is the right architecture for your center. I hope I’ve opened the window into costs a little bit wider for you here. Download the free eBook “Workforce Management in the Cloud” to learn more.